Just Listed :: Beautiful Traditional in Canton's Wentworth! Welcome Home! 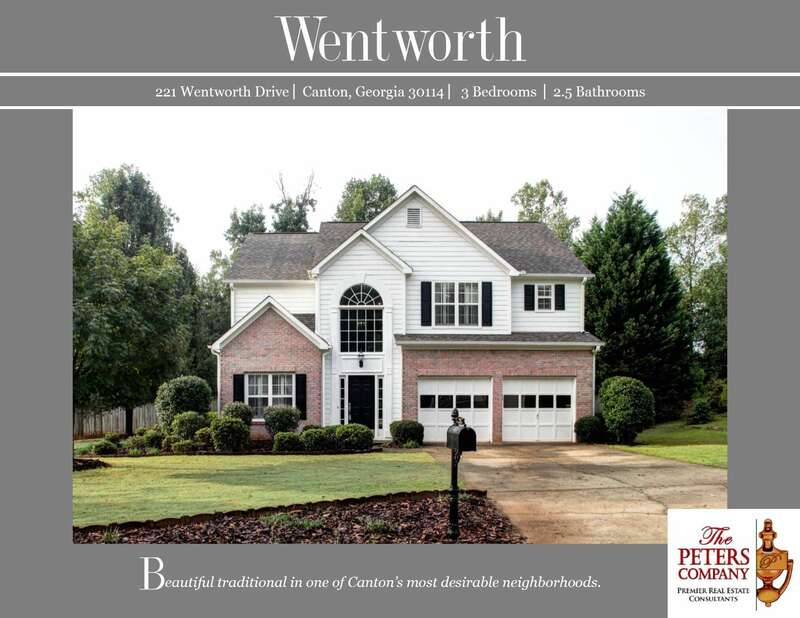 Wentworth is a wonderful neighborhood located in the popular and fast growing Canton area. The flowing floor plan, custom features, and charming character of this home will never go out of style. The close proximity to I-575, I-75, and Sixes Road makes virtually all commutes a breeze! You’ll enjoy being only minutes from restaurants and shopping spots! · Kitchen features ample cabinet and counter space, pantry, and breakfast area. · Separate dining room is perfect for entertaining. · Spacious family room boasts a soaring ceiling and cozy gas starter fireplace. · Formal living room could easily be used as a home office or playroom. · Master suite is a true retreat including a trey ceiling, dual closets, and private master bathroom. · Spa-like master bathroom features a double vanity, garden tub, and separate shower. · Additional bedrooms share a Jack and Jill style bathroom and are well-sized and bright. · Laundry room is conveniently located upstairs. · Garage easily fits two vehicles. · Wonderful outdoor space includes a large deck overlooking the fully fenced backyard. · Great location convenient to interstates, shopping, and restaurants.